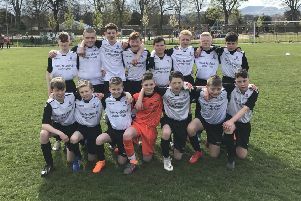 Leith Athletic moved a massive 16 points clear at the top of the East of Scotland League after netting an 89th-minute winner against Hawick Royal Albert at Netherdale. The Meadowbank-based side were given a stern test by the Border outfit over the course of the ninety minutes but, with time running out and the match seemingly heading for a draw, Gary Black crossed into the penalty area for defender Neil Lowson to fire in from close range and spark jubilant celebrations on the Leith bench. Heriot-Watt-University climbed into second spot with a 2-0 win over Spartans EoS at Ainslie Park in one of only three league matches to beat the weather. The students, who fielded seven members of their Under-20 squad in their starting XI, scored two quick-fire goals early in the second half with a debut strike for Oliver Spence and another effort from Liam Walker. Spartans boss Colin Tomassi was frustrated with the result but not downhearted with his side’s performance as they slipped to third. “We kept going at them even after we went behind, although they are a very well organised side,” he said. Tynecastle moved into the second round of the King Cup with a 6-1 win over Eyemouth United at Albyn Park. Tynie recovered from the loss of an early goal with Dean Crabbe and Willie Mitchell both netting a brace apiece with further strikes coming from Stewart Adams and Haydn Crane. “I thought the result flattered us a little bit,” said Tynecastle head coach Steve Vinter. “The conditions were far from ideal but we managed to get the game switched to astro and it was important that we bounced back from our defeat by Civil Service,” added Vinter, who hopes to welcome back Chris Joyce from injury soon. at K Park tomorrow night (7.45pm) with a place in the final against Spartans at stake.